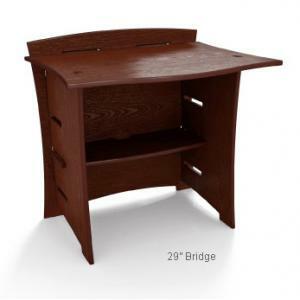 Attach the Brock desk extenders to either side of a corner or straight desk allowing your office to grow with your changing needs and lifestyle. 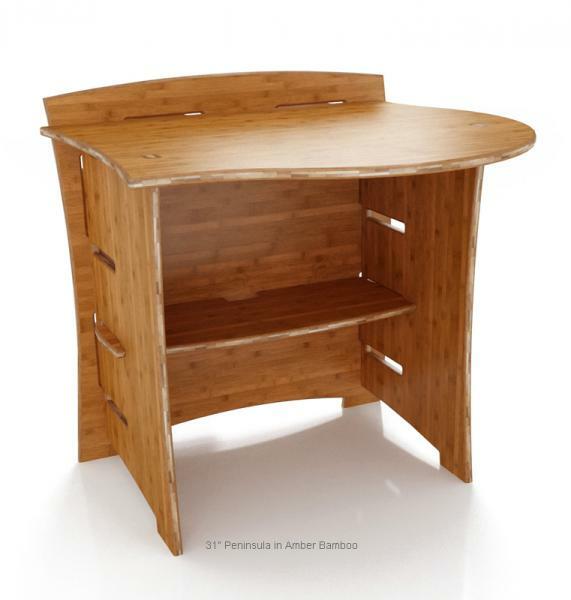 All Legare desks can have peninsulas, extensions or bridges attached to either side, allowing your office to grow with your changing needs and lifestyle. Peninsulas act as curvilinear end caps for our desks and can also be used in combination with Extension units. 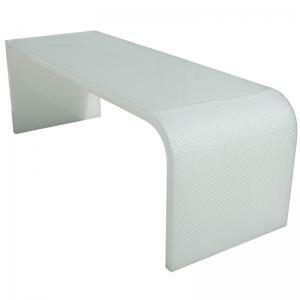 They provide that extra bit of collaborative workspace you always need. 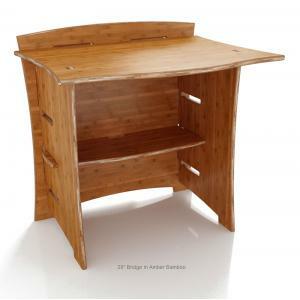 The modular pieces interlock for extremely easy assembly. 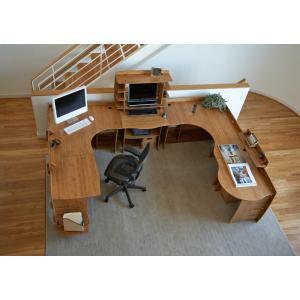 It is modular, expandable, and flexible contemporary furniture for the home office. 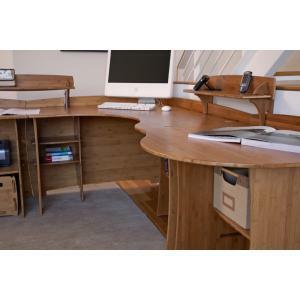 The design brilliance behind this clever desk system speaks for itself! 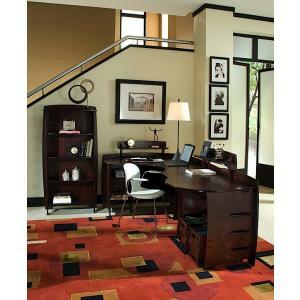 The creativity is in making a clever contemporary home office so simple. 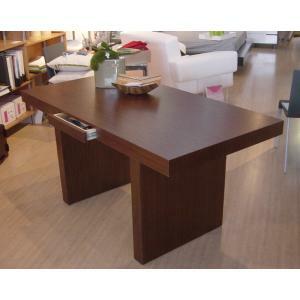 Available in Oak Venneer with espresso or wheat finish, and Amber Bamboo. 29" Bridge, 29" W x 27" D x 29" desk height, 32" overall height, comes with one 24" shelf, holds up to three 24" shelves. 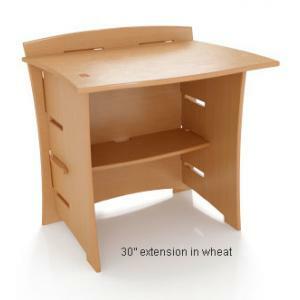 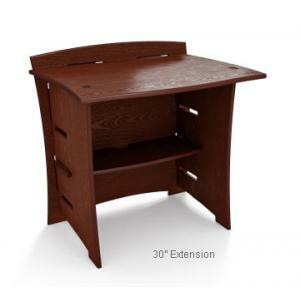 30" Extension, 30" W x 27" D x 29" desk height, 32" overall height, comes with one 24" shelf, holds up to three 24" shelves. 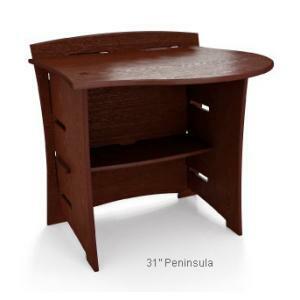 31" Peninsula, 31" W x 27" D x 29" desk height, 32" overall height, comes with one 24" shelf, holds up to three 24" shelves.